This is not an instructional book. This is a coming of age story about a young outcast who grew up to be one the most famous models in entertainment. I have read other books that Rolling Stone’s Neil Strauss had help write and publish such as Motley Crue’s The Dirt, Marilyn Manson’s Long Hard Road Out of Hell, and Dave Navarro’s Don’t Try this at Home. However, I will say this one was very intelligently crafted, and Jameson’s journal entries show it was her hand that had crafted most of this story. Also, although many people may scoff at this, but unlike Neil Strauss’s other books, this book actually didn’t objectify women. This book starts off as a story about a teen girl who wanted to be a pretty thing exploited by her man to becoming a story about a woman who took control of her own destiny. Although sometimes these choices were self-destructive, it was her self-management and self-promotion that gave her the wealth, company ownership, and celebrity status. This isn’t a literary achievement but I suggest not passing her story up. Being a fan of Nirvana and Kurt Cobain, it was a little hard to digest a lot of the stuff that this book went over in detail. Looking at other reviews, I can see how this also affected others. However, Charles Cross made sure to back up each chapter with evidence found in interviews, journals, and anything else he could get his hands on. The appendix actually lists the sources for each chapter to help substantiate that this man did his homework. However, it doesn’t read like a collage of interview snippets that have been cut and paste in chronological order. 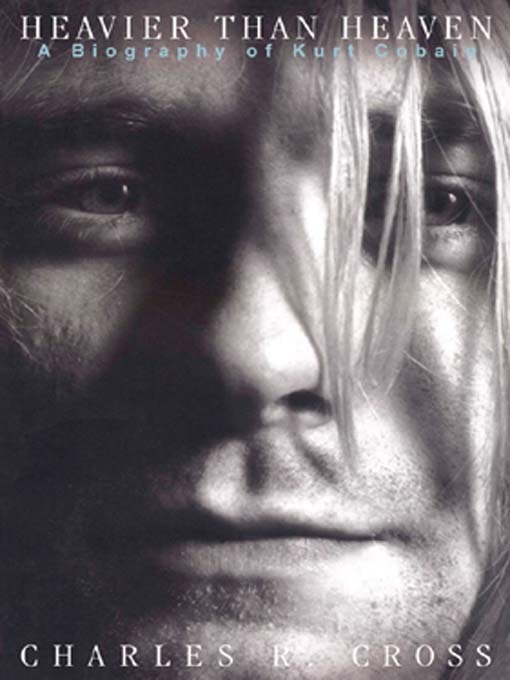 This book flows effortlessly and the only difficult parts were actually the snippets from Cobain’s journals that contained mostly a list of words being recited by a crazy little boy, yet Cobain’s unset letters were interesting introspections that shed more light on this disillusioned youth. This book sheds the Generation X idol of his status and left this dirty, poor, but highly talented junky who had dreams of becoming something more. Not only does this book humbly humanize the teen idol, but also it shows the dangerous and self-destructive slope of chemical induced depression. It’s a tragic and cautionary tale.